The easiest ever banana muffin recipe. The easiest banana muffin recipe ever. 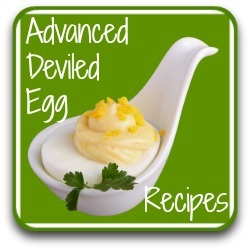 Looking for a fast and easy recipe to use some of your girls' delicious eggs? You've just found it! Banana bread is probably not new to you. Most people have been making it all their lives. Not me though. I'm not a great cook, to be honest. I've made banana breads before but somehow they always turned out dry - and the mess I made with bowls and pans had to be seen to be believed. Then I came across this muffins recipe. I didn't believe it could be so easy. But it is, and the muffins are lovely every time. Now, I make it all the time. Whenever I have a glut of eggs, I make a few dozen and freeze them for those times when the eggs aren't as plentiful. And the best thing? You only use two bowls! This recipe makes 12 muffins. If you want more, just increase accordingly - it multiplies up well. These nutritional values are per muffin. For a lower fat version, I use applesauce instead of butter. 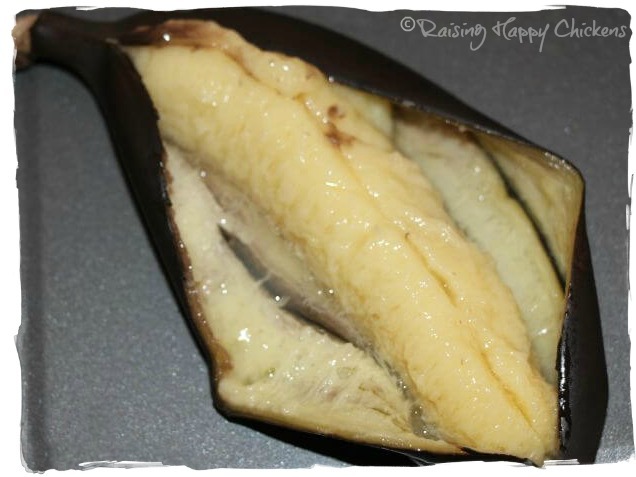 If your bananas aren't ripe enough, put them (still in their skins) on a baking tray into the oven for 20 minutes at 300ºF/150ºC. They'll come out looking like this - the fruit just oozes out, which is ideal for this recipe. Heat the oven to 350ºF/175ºC. Lightly grease your muffin pan (I use a smear of butter). Put the flour, cinnamon and if using, baking soda and baking powder into a bowl, mix together and set aside. In a separate bowl, mash together the bananas, sugar, eggs, butter (or applesauce) and vanilla. Now fold the flour mix into the banana mix. Do not beat! The less you handle the mix, the better. If you beat it or over stir, the muffins will be dry. As soon as the flour is combined - stop! Put a spoonful into each muffin pan. And that's it! How long you cook them for will depend on the size of your tins. 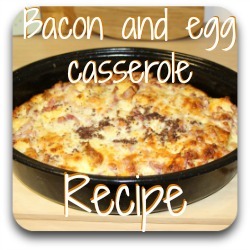 I use a mini pan and they're ready in about 15 minutes; for larger sizes it will take nearer 30 minutes. The muffins are cooked when you lightly push the top and they spring back. Allow to cool completely. Stand on a baking tray and put into the freezer until completely frozen. Take out, and place into a labelled freezer bag. 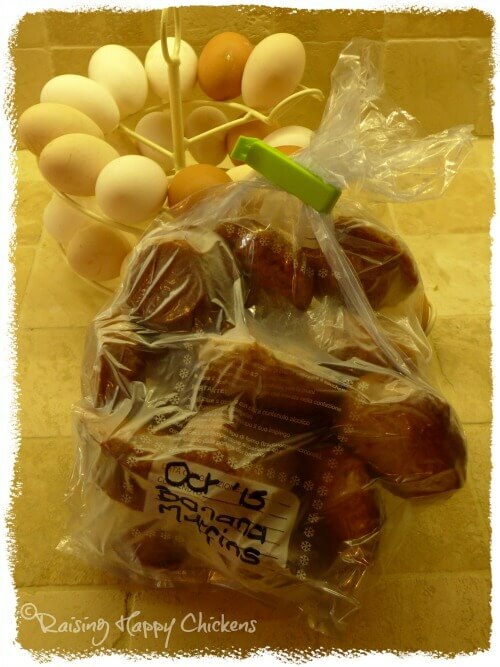 To be extra safe, place this bag inside another one - this avoids "freezer burn". They will store for up to three months. To de-frost, leave overnight in the fridge, or microwave for 15 - 20 seconds. They're great to have in stock for a quick sweet treat, or the kids' lunch box. Did you notice my egg skelter? 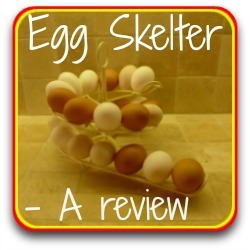 Did you notice my 'Egg Skelter' on these pics? I've had it for three years now and it still looks as good as they day I bought it. I absolutely love it and so does everyone I've ever bought it as a gift for (and that's several people!). It makes a fabulous and unusual gift for anyone who has chickens - you'll always know which eggs to use first! Click on the pic to see my review. 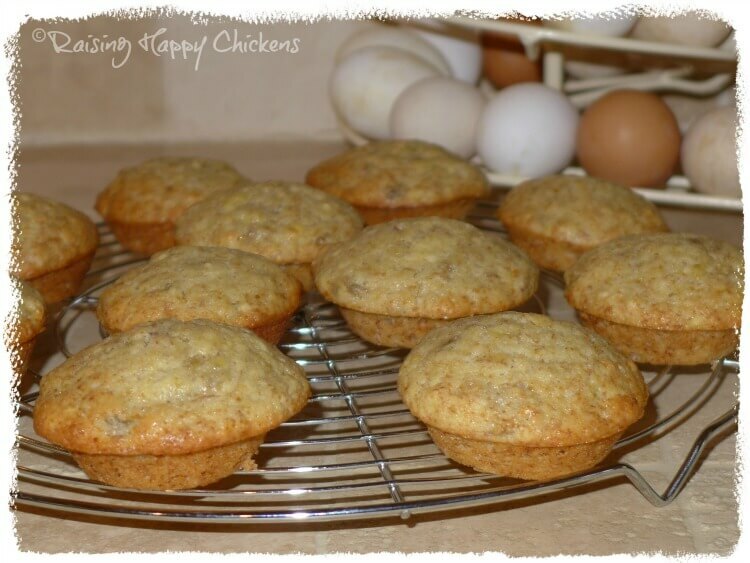 Looking for a free downloadable version of the banana muffin recipe? Here it is! This version comes in PDF format and has no introduction and no pictures. You'll need a programme called 'Adobe Reader' to open it - if you don't have it, just download it here - it's free. 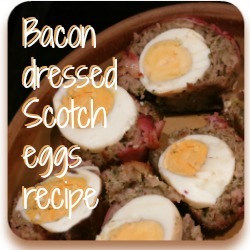 To download the recipe, click on the green button. You might like these egg recipes, too.